We’d love your help. Let us know what’s wrong with this preview of The White Room and Other Stories by Ray Gardener. 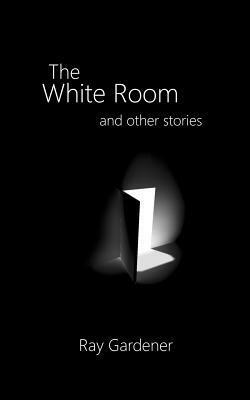 To ask other readers questions about The White Room and Other Stories, please sign up. Most of the themes revolve around philosophical issues: ethics, the nature of reality and God, and free-will vs determinism. However, repeatedly, they assume their own conclusions without truly offering multiple points of view. Many of the vignettes devolve i This is a collection of eighteen vignettes and modern day parables. Few rise to the level of being a true short story in that characters are left undeveloped, backgrounds are unexplored and plots remain overly contrived rather than organic. Most troubling was the reliance on characters having to narrate how brilliant or clever or devious they were without the actions, thoughts, or dialogue to show it. "Brilliant doctors and professors" would remain without a clear field of expertise which is troubling, as medical doctors are well aware of their specialty and tend to self-identify. The thin character constructions hinder the strengths of the tales and the immersion of the reader. I work as a software developer at my own company, Daylon Graphics, which produces the popular Leveller terrain modeler. I started it in 1998, and I began writing a few years before that while working at Corel in Ottawa. Generally, I think about where we as a species are and where we're headed, what challenges we'll face, and what kinds of experienc The unexamined life is not worth living. Generally, I think about where we as a species are and where we're headed, what challenges we'll face, and what kinds of experiences we'll have.